Most countries have border disputes with others, claiming that someone else’s territory rightfully belongs to them. However after a while these disputes take the form of posturing: claiming the de facto situation shouldn’t exist, but still putting up with it. Secure and defined borders should make good neighbours but that is not always the case. Even when such disputes have led to war, as in Nagorno-Karabakh, the Armenian occupied part of Azerbaijan, and the former Yugoslavia, such conflicts soon become “frozen” in perpetuity because posturing is easier than taking effective action to resolve the conflict. The end result is that people can believe what they like, but life goes on in broadly acceptable ways; each side goes on blaming others for all their woes – border problems are used as necessary, and even as convenient distractions to domestic issues, such as corruption, a practice that both Azerbaijan and Armenia are rife with. 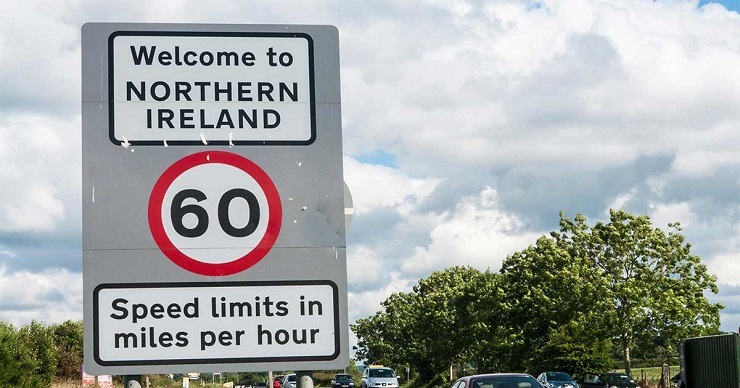 When UK electors voted for Brexit it was suggested that the border between Northern Ireland, as part of the UK, and the Republic of Ireland, as an independent EU member state, might be a source of future difficulty. As time has gone on, the “Irish Border Question” has become one of the dominant features in the Brexit negotiations, or lack of them. A border which is currently crossed daily by thousands of people on both sides of the political divide will have to have some new sort of guardianship regime, whatever that is. But no one has yet devised one which satisfies all demands, or even comes near to satisfying any demand of the negotiating sides. It has long been understood that the Irish Border Question may derail Brexit. But it can potentally, which is also becoming clear that it may have broader consequences than any of the other border disputes around the globe. The only solutions anyone could live with are so extreme that the rest of the world is bound to take notice, especially stakeholders to other border disputes. They may end up forcing a revision of the very concepts of nationality, nation state and legitimacy. But this will mean a different set of powers are best placed to profit, not those who have long resisted this notion – and that is why we are more likely to witness a race to the bottom, each sinking ship still trying to sink the other, than an alternative to a war which might destroy the UK, the EU and practically everything else. The Irish Border Question is a stereotypical one: quite simple if you are Irish, but very difficult for everyone else. It only exists because the UK’s Liberal government, which depended on the Irish Parliamentary Party for its majority, was converted to the cause of Irish “Home Rule” (not independence but limited self-government, much like the present Scottish Parliament and Welsh Assembly) back in 1885. In those days the Irish independence movement was much like the anti-Vietnam War movement of the 1960s: widely supported, but not by anyone in a position of authority. Prime Minister Gladstone’s sudden adoption of a Home Rule policy let the cat out of the bag. The Liberals split in two, with the new “Liberal Unionists” allying with the Conservatives to oppose Home Rule. But the biggest problem this presented was that it wasn’t simply the landowning Liberals, many of whom had estates in Ireland, who opposed the concept, but Joseph Chamberlain and his group of radical social reformers – the very people who usually support such causes. The Liberal government soon fell as a result of the split. But it could not reverse its policy now it had made Home Rule respectable by supporting it. Neither could it paint its opponents as out-of-touch reactionaries, when the trendiest progressives were amongst them. Consequently both sides reached a typical British compromise: that if Home Rule was ever granted, it would not be imposed upon the majority Protestant counties in the north which did not support it. So when it came after World War One the six majority Protestant counties exercised their opt-out clause and remained in the UK, thus creating a national border between two groups who each claimed to be as Irish as the other. The UK and the Republic of Ireland joined the EU together in 1973. As time went on, the EU´s increasing harmonisation made a border heavily guarded due to The Troubles an anomaly. With the advent of peace, or something near it, in the 1990s, the border became an administrative reality but a practical joke. No longer was anyone’s right to work, move or trade affected by the existence of this border between Ireland and Ireland. However a majority on either side still insisted on its existence. No matter what the relations between the UK and the Irish Republic were, or between communities in Northern Ireland or the south, the Irish consistently supported both sides of the fence by demanding the fence remain there. But that was before the Brexit vote. This has created a flood of applications for Irish passports, particularly from hardline Protestant unionists in the north. It has also provoked further discussion of an old Irish Republic question: whether to allow Irish living overseas, and citizens of Northern Ireland, to vote in their elections. A recent poll shows a majority of Republic of Ireland citizens would reject this idea. This begs the question: so where does that leave these new Irish passport holders, who have every right to expect political representation in the Republic? Irishness is now about convenience rather than principle. Still different Irish play both sides and want to keep it that way. But for the first time in living memory it is no longer necessary to be, or want to be, a UK citizen to consider yourself a true Northern Irishman. The Irish still want their border but on their own terms. They also want peace to continue, but on their own terms, which they worked out for themselves in the Good Friday Agreement. Any sort of border after Brexit will involve people in uniform patrolling around on behalf of one government or the other, thus reigniting the old hostilities and suspicions. Perhaps the only way to prevent that, and give people what they want, will be to develop a new model of non-nationhood, in which people self-identify with a particular group but are no longer bound by different political structures, within the EU or outside it, for doing so. Neither the UK nor the EU want the consequences of re-imposing the Irish border as a practical instrument. They are both competing to develop the best and most workable proposals for making it exist and not exist simultaneously, digging their heels in whilst pretending not to try and satisfy different segments of support. But if they fail? No one wants to think about war, but when the powers arguing over the Irish border discover that the best way out is the one they have always resisted, that is a genuine possibility. If that happens, we will be in for a long conflict, whose causes will spread to more places the longer it continues. The fabled British military might wouldn’t last against the EU very long. But the communities either side of the border are unlikely to forgive and forget even a short skirmish, given their very long memories of mutual conflict. In recent years we have seen multinational states break up, either voluntarily or at the urging of others, on the grounds that each racial group should have its own country. This principle has been applied very selectively: we all know what would happen if a separate black America was proposed, even though Atlanta was awarded the 1996 Olympics so soon after Los Angeles precisely because that is what the city represented in the eyes of its same American sponsors. But nation states have come to be the accepted model for the same reasons decolonisation was in the 1950s: one people should not rule over another, if all men are equal. The founders of the EU were competing with the large empires ruled by the Soviet Union, the UK and the US through its increasingly large client list. To maintain their own independence, they had to run their own affairs and then contribute to general prosperity by being part of this union. But when the UK joined it the EU did not start advocating Scottish or Welsh independence, and neither has it supported separatist groups in northern Italy, Corsica or Catalonia. One law for the existing members, one for another, even those members had the same motivation for creatingthe EU as separatist groups had for leaving the existing EU members. Brexit, and the development of the “Europe of Nations” concept by the Visegrad Group, consisting of second-tier EU countries as an approach has led us to this. Such countries, which now effectively mean, “nations of people”, are independent or they aren’t. If the EU says some should be and some should not, why shouldn’t those chosen few do as they please to their “inferior” populations, indigenous or immigrant? These same notions of superiority and inferiority lie at the heart of the community conflicts within Ireland, and Irish independence itself. The EU and UK which are both exploiting them will never have the will to change them, if they wish to remain the institutions they are. The way to resolve the Irish border issue, and prevent potential conflict there and further knock-on conflicts elsewhere in the EU inspired by the same factors, is to remove the concept of national borders, or borders betweenn the EU and countries outside it. As Americans should know, this can be achieved in one simple way. If you grant independence to everyone, you grant it to no one. If every nation state runs its own affairs, and sets its own rules and regulations, no one has any choice but to harmonise where necessary, on their own agreed terms. If those terms are threatened, they can all contribute to defending themselves as equal partners, not slaves of regulations made by an increasingly unrepresentative “them who sit above”. In other words, the way to resolve this problem of failing liberal states is to return to classical liberal thinking. Prime Minister Gladstone must be smiling in his grave to realise, as he would have done long ago, that if everyone had done what he wanted in 1885 we would not have this mess now. If both the common and conflicting rights and desires of EU and UK citizens, which the Irish Border Question has laid bare, are not met someone will ride in to defend one side or another, oblige the EU and UK to put their guns where their mouths are and war will break out again. In a short time Ireland will become the Middle East. But those common and conflicting desires can be met if both the EU and UK start respecting the values of the old Middle East which they destroyed. We hear a lot about Arab-Israeli conflict, but that only exists because the State of Israel was put there to oppress the Arab population, not because Arabs have a problem with Jews. Arabs have to be oppressed by the great powers for one reason. They are supposed to be primitive, dependent people, but actually show the way, and people of other backgrounds don’t want to admit they arwe not as superior as they think. The whole of monasticism in Christianity doesn’t derive from Saint Antony and the Desert Fathers but the Syrian tradition of a man living at home, with the rest of his household, whilst devoting himself to God rather than the secular world. Arabic numbers took over from ones designed in the West. Arab businessmen were running the world long before the Rothschilds, and walk down most high streets and you find they still do. As mentioned in a previous article, the reason Lebanon became ravaged by civil war was not that its political system didn’t work, but that it did, and that could not be allowed because it de-valued other systems. That system is one of religious confessions, in effect the national groups of most countries, satisfying their own people, with whom they have a deep and genuine connection, and preserving that satisfaction through gentleman’s agreements with each other. This may seem utopian, but it was Lebanese reality for a long time, and still is in the Lebanese Diaspora, where it still works as it did back home. If the EU and the UK did the same, they would avoid conflict over the Irish border and knock-on conflicts elsewhere between peoples demanding or resisting the models the EU and UK want for Ireland. But this would mean the rulers of both entities, with their fear-ridden policies, admitting they don’t have the monopoly of wisdom. This in turn will mean they go running to gentleman’s agreements rather than have their own methods forced upon them. Does anyone in these institutions have the courage to do this? Or is yet more blood going to cover yet more shame? The Irish are represented by a single national rugby team, which has developed a common anthem to unite Irish on both sides of the border in the north who sing this on match days, and cross the Irish border every day, also generally want to keep that border in place. It is there because the EU and UK won’t adopt a Middle Eastern model which would suit them both at this time. The EU and UK are political entities whose values are supposedly based on those of Jesus Christ. Where did he come from?